Everybody loves a dinner party, right! Then why not spice up your next fondue get-together with a fun theme. There are so many themes to choose from but I have put together a few casual dinner party themes for you to try which are dear to my heart. There are a few things to contemplate to bring your dinner party themes to life so this would be the ideal time to start preparing your checklist. The two themes I have created to give you inspiration are “Life is a Beach” and “Out of Africa“. Life really is a beach for me and will always hold a special place in my heart. 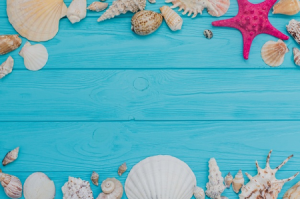 Growing up on the beach I spent many hours soaking up the sun, the soft sand under my feet, the light breeze and swimming in the beautiful blue ocean and at night the sound of the waves would lull me into a deep and relaxing sleep. 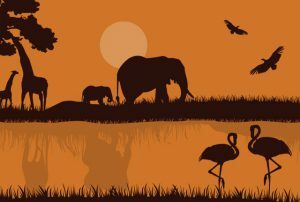 Being a lover of travel and wildlife I have always dreamt of going on an African Safari and it is one destination that is definitely on my bucket list. Just to be able to observe the African wildlife in their natural environment would be awesome. You might think written invitations for parties are a thing of the past, especially with the ease of posting an event on Facebook or emailing an invitation that you have prepared yourself on the computer, but every now and again it can be quite special to receive a hand-written invitation. I would send out invitations four weeks before the fondue dinner party, it gives your guests plenty of time to organize what themed gear they will be wearing. 3. What will be your tablescape? Once the theme has been chosen, it is now important to begin visualizing the tablescape you are looking to create for your fondue dinner party. A broad definition of a tablescape is an artistic arrangement of ornaments or objects to convey a distinct theme, but it really is much more than that, it also showcases the process of design and creativity. What table accessories will you use to enhance your tablescape’s overall ambience? A few items to consider to spruce up your table are flowers, candles, vases, centrepieces, lanterns and decorative bottles, the list is endless. You can even mix and match shapes, colors and even patterns to get that glamorous casual look. For the two themes “Life is a Beach” and “Out of Africa” I have chosen items that will create a casual tablescape for the fondue dinner party. 4. Which decorations to use? 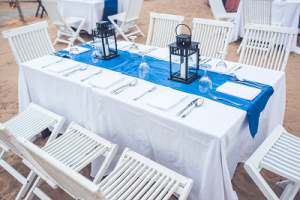 Choose your indoor and outdoor decorations based on your dinner party theme. The room decor really is paramount to producing the atmosphere you are aspiring to recreate. If you want to give your dinner party a relaxing atmosphere, then look no further, candles are your go to. The soft glow of candles creates a warm and inviting ambiance to your dinner party. 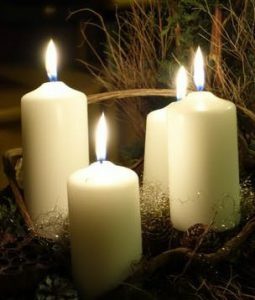 Consider unscented candles so as not to compete with the aromas of the food you are serving. Balloons are a great way to jazz up your space and they also add a pop of color. You can choose to hang the balloons from the ceiling or scatter them around the floor. Wall decorations are also a stylish option to consider for your themed dinner party and can make the room look magical. Make a statement and accessorize your walls with wall hangings, prints and wall plaques to add color and texture. Remember, let your imagination run wild! 5. Choosing your Music Playlist? The goal here is to choose music that both enhances and compliments the dinner party theme you have created. Whether you are playing music from CDs, Spotify, iTunes, Pandora or even YouTube, the music you play can either make or break the occasion. The background music should be subtle and non intrusive, your guests should be able to enjoy a conversation without having to shout at each other across the dinner table. The music can certainly increase a few notches if the party changes from a dinner party to a dance party later in the evening. You are now well on your way to creating the perfect fondue dinner party theme which expresses your creativity, style and flair. Now that you have the theme checklist well established, you can now focus on creating your dinner party menu and what drinks you will be serving. Below are some easy dinner party menu ideas which are sure to create a great dining experience for your guests. I always say the simpler the menu the better as it reduces the stress of creating an elaborate meal and you get the time to relax and enjoy the evening. The food and drinks should ideally be synonymous with the party theme you have chosen, for instance, if you are hosting a beach theme fondue party then the ideal food could be (Crab Cheese Fondue) for the entree, a seafood fondue for the main (Scallop, Shrimp, and Fish Fondue) and for dessert a yummy (Tropical Chocolate Fondue). Drinks you could serve could be something along the lines of Pina Coladas or other rum inspired cocktails. We certainly cannot forget a nice cold beer to cool you down either. For the African Safari dinner party theme a few serving suggestions could be (Mushroom Brie Fondue) for the entree, a meat fondue for the main (Dijon Rosemary Lamb Fondue) and for a delicious dessert (African Chocolate Fondue). To avoid getting parched on the hot African Serengeti you could serve up a cocktail like Out of Africa or a punch like Jungle Juice. 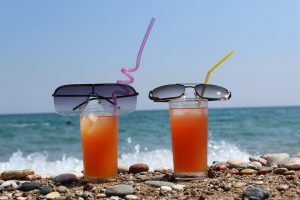 Non-alcoholic options could be mocktails or even the good ole iced tea, everyones favorite on a hot summers day on the beach or in the African wilderness! 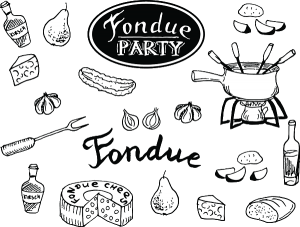 There are so many fantastic fondue recipes we have access to on the internet and in cookbooks, we are certainly spoilt for choice. 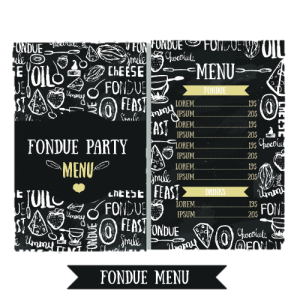 With the theme and menu sorted you are now ready to bring your fondue dinner party to life. Pour yourself a glass of wine and enjoy the special moments with your family and friends. Eat, drink, laugh and dance the night away, what could possibly be better! Fantastic ideas, Caz! I’m not much of an entertainer and stress a little when it comes to having folks over for dinner. You make it so simple…even I might actually be able do it! Thanks so much for taking the time to read my post and for leaving your comments. 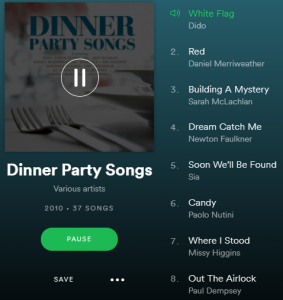 I tried to make the dinner party themes as casual and layback as possible and hope it inspires you to host your own dinner party, they really are a lot of fun.